Surrounding Kāneʻohe Bay landward are, again, the Koʻolau Mountains. Seen to the right of Mōkapu Peninsula’s Puʻu Papaʻa and in the foreground is Puʻu Pahu, a hill on the mainland overlooking Moku o Loe. Lilipuna Pier, which provides access by boat to Moku o Loʻe, is located here. This headland is known as Pōhākea. To the right and continuing southwest are the peaks of Puʻu Kōnāhuanui, Puʻu Lanihuli, Puʻu Kahuauli and Puʻu Keahiakahoe. These surround the large valley of Kaneohe. It came under the ownership of Bishop Estate. In 1933, Chris Holmes, owner of Hawaiian Tuna Packers (later, Coral Tuna) and heir to the Fleischmann yeast fortune, purchased the island for his tuna-packing factory. Later, Holmes tried to transform Coconut Island into his own private paradise. He enlarged the island, built the ponds, harbors and seawall surrounding the island. He also planted large numbers of coconut palms which gave rise to its popular name, “Coconut Island”. After Chris Holmes passed away in 1944 Coconut Island was used for an Army Rest & Recreation center until it was bought by five investors. Eventually Edwin Pauley became principal owner. 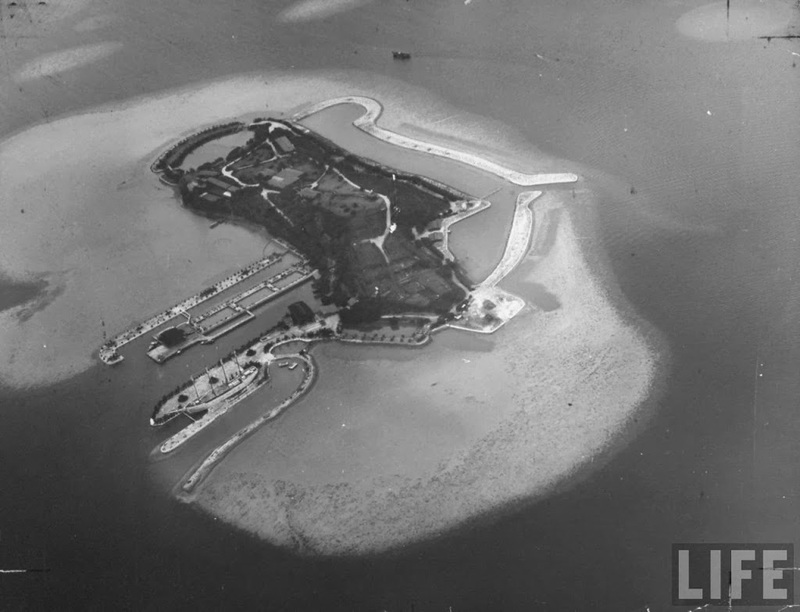 During World War II the army used the island as a rest camp for combat officers, building barracks and adding electrical, plumbing and a sewage disposal plant and improving the dock facilities. After the war, Holmes put the island up for sale and Edwin W Pauley, his brother Harold, SB Mosher, Poncet Davis and Allen Chase (wealthy oil men) purchased it for $250,000. Pauley, the leader of the group, was a Los Angeles oilman, former treasurer of the National Democratic Party and Reparations Commissioner after the end of World War II. Through a collaboration of Paul R Williams and A Quincy Jones, a concept plan was developed to use the island as a millionaire’s playground and exclusive resort – Coconut Island Club International. Described by Ed Pauley as the ultimate “retreat for tired businessmen,” the drawing shows the four-story, 26-suite hostel and proposed amenities. 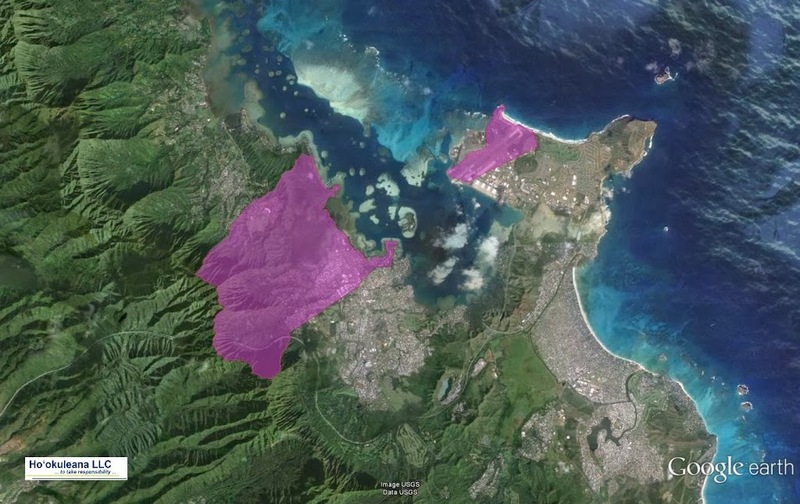 Swimming pools, boathouses, tennis courts, bowling alley, and a lookout tower with a view of Kaneohe Bay and Oahu were all part of the master plan. Their vision of the resort island as an exclusive private club, a “combination millionaire’s playground and crossroads hostel for high level international citizens,” owned and frequented by “substantial people – important people, if you will, notables, or call them what you like…” proved to be too restrictive to support the grand building project. Soon after the drawing was completed, the venture was abandoned. Eventually, Edwin Pauley, bought out the interests of the other four and became the sole owner of the island. Here, his family spent their summers. Many famous people spent time on Coconut Island as a guest of Edwin Pauley. Some of these include: Harry Truman, Lyndon B Johnson, Red Skelton, Richard Nixon and Ronald Reagan. Following the death of Edwin Pauley in the early 1980s, the island was put up for sale. A Japanese real estate developer, Katsuhiro Kawaguchi, offered $8.5 million in cash and purchased the island. Later, the Pauley Foundation and Trustees approved a grant of $7.615 million to build a marine laboratory to be named the Pauley-Pagen Laboratory. The Pauley family provided the UH Foundation with the $2 million necessary to buy the private portion of the island from Mr. Kawaguchi. Instead of a millionaire’s playground, the island became a haven for world-class scientists at the Hawaiʻi Institute for Marine Biology (HIMB.) While some generally refer to the island as “Coconut Island,” (and it was featured in the opening scene of Gilligan’s Island, a 1960s television sitcom,) let us not forget its original name, Moku O Loʻe. The image shows Moku O Loʻe, as seen in Life Magazine, 1937. In addition, I have added other related images in a folder of like name in the Photos section on my Facebook and Google+ pages.